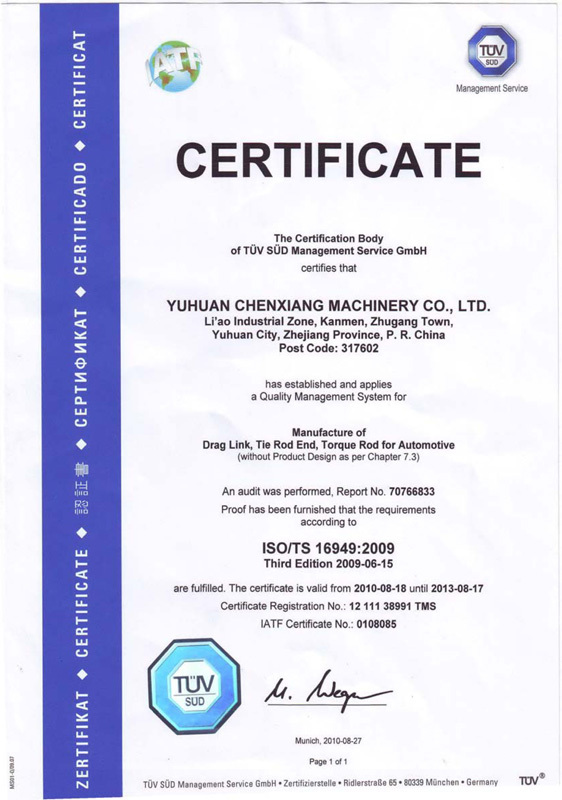 YUHUAN CHENXIANG MACHINERY CO.,LTD,located in beautiful and rich East China Sea strand Yuhuan County,is a professional industrial enterprise mainly focusing on development and manufacturing truck steering parts. Since the establishment of the company in 2005,we have adhered to the principals of "Quality First & Sustained Innovation",insisting on O.E. standards and technical production. Supporting by company's strong technical strength,first-class manufacturing equipments and scientific testing procedure,our products of Ball Joint、Tie Rod End、Tie Rod Assembly、Drag Link、Torque Rod、V-Stay、Repair Kit etc. have enjoyed good reputations in Europe,Central & South America,Middle East and South East Asia markets in field of automotive spare parts for our reliable quality and exquisite craftsmanship. 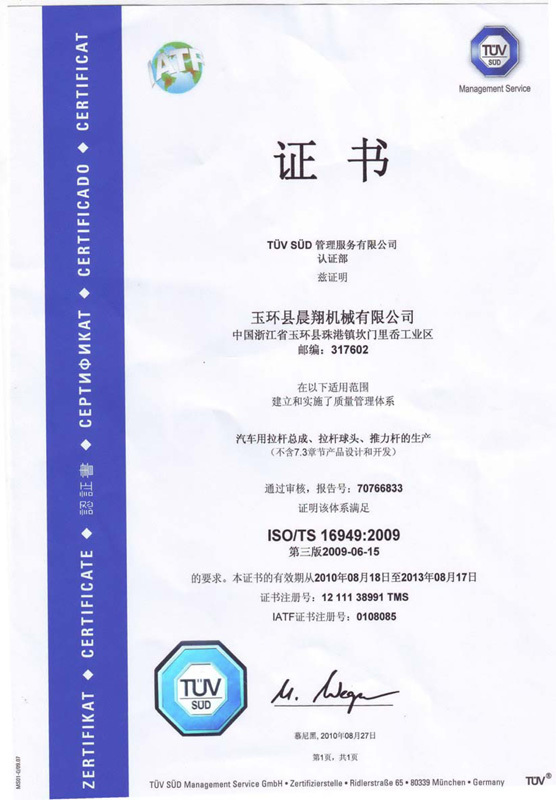 We have passed ISO/TS 16949:2009 quality system in 2010.Based on our superior advantage in new products developing,perfect quality system and excellent performance of team work,we are willing to offer our best products and services to customers both home and abroad.